. . . DOUG LAWRENCE . 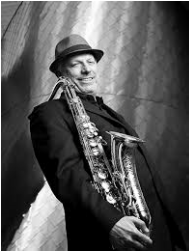 . .
Doug appeared in the Broadway Show "Come Fly Away" as principle saxophone soloist from 2009 thru 2012. This show, based on the music of Frank Sinatra and the choreography of Twyla Tharp featured an all-star big band performing on stage. "Come Fly Away" started in Atlanta, moved to Broadway, and toured nationally in the US and Japan in its 3 year run. Other Broadway shows Doug has been associated with as an original member include, the 1st National Tour of "Sister Act", which ran from September 2012 to July 2014.